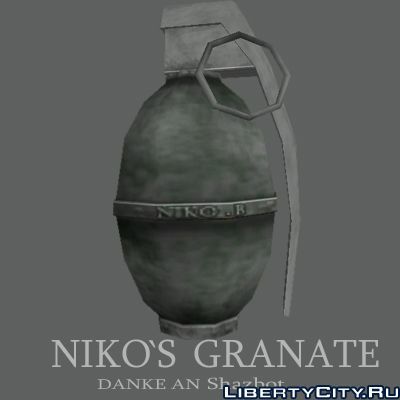 Textures of a grenade with initials of Nico. To tell the truth, I really liked it! System requirements are the same as for Ays, so you can safely download and comment P.S. Did not specify sistemki, because I do not know them, but on the site it is written as well!